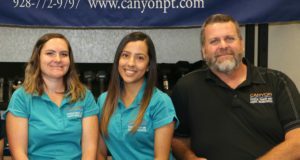 We will assist the physical therapist in carrying out effective treatment plans for our patients. Some of the procedures we assist with may include application of modalities as directed by your Physical Therapist including moist hot packs, cryotherapy, electric stimulation, ultrasound, paraffin baths, etc. We also assist patients with carrying out their prescribed exercise routine which may include mat exercises, aquatic exercise, and gym exercises for strengthening, stabilization, mobility, flexibility, conditioning and balance.